Are you planning your wedding? Have you found your wedding dress? And what about your wedding shoes? One of the most important aspects of preparing for the biggest event of your life is not only selecting a wedding dress, which will suit you perfectly, but also finding perfect shoes, which will give you the opportunity to party through your wedding day and dance the night away. Below you can check out wedding shoe mistakes to avoid and, believe me, you will enjoy this special day and your wedding shoes will not break your day! Always buy shoes that fit you and are not little bit too tight. Buy such type of wedding shoes for this special day which will fit you perfectly and which will be very comfortable. It is more important to feel comfortable in what you are wearing! Wearing heals for a long time is not so good for your feet. 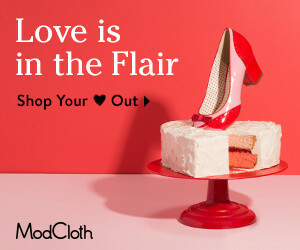 Why not buy a comfortable pair of pretty shoes to change in for when the wedding photo shoot and wedding dance are over? Short dresses are a perfect way to show off wedding shoes. 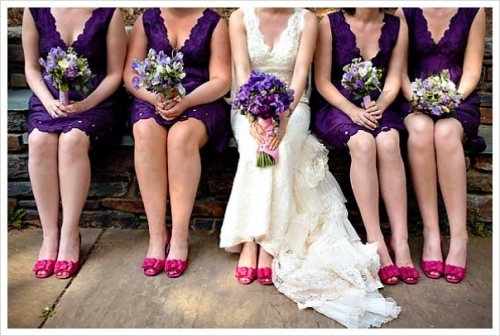 So, be sure that your bridesmaids will not wear the same style of shoe or ones that are very similar. It is very important to feel comfortable in what you are wearing. So, stay true to your own personal style and choose certain style of shoes you like. Be brave and do it! You must have pedicure for your special day if you are wearing peep-toe heels or even you are wearing closed-toe shoes. You should make sure that the length of your dress allows you to wear this or that pair of shoes, if you do not want your dress to drag on the floor. Try a pair of shoes which you will wear for this big day under your desk at work or around the house at the carpeted floor as breaking in a wedding shoes is a must. Breaking the tightness of the shoes will let you enjoy all the moments of this great event. Do not scrimp on your wedding shoes, as cheaper shoes do not have the freedom of movement that high quality shoes have. Choose a pair of shoes you love and which is comfortable, as to wear them again and again. When you do find the prefect pair, buy it without any doubt!